There’s quite a lot of information out there when it comes to the best practices for a healthy and clear skin, but which of them actually work? We did the hard work for you and researched this topic in depth while collecting various personal experiences people had when trying to find the best routine for their skin care. So, it is really worth checking out the precious tips we listed below, especially if you feel that your current skincare routine is not working as it should. Check out what we discovered and see what you may be doing wrong or what may be missing from your skin care rituals. Are You Sure That What You Eat Is Healthy? While most people think about surface treatments when talking about skincare, the part in which the diet plays a role is completely disregarded. You need to be fully aware that what you eat will be seen on your skin. In other words, if you don’t introduce the needed nutrients in your organism, your skin won’t have what it needs to regenerate and glow. So, it won’t matter if you use the most expensive face cream if you enjoy eating pizza, burgers, fries, and sodas every single day. A healthy skin is the reflection of a healthy diet, so that this in mind before complaining about your skin’s condition. Also, besides the diet, do not forget that water plays a crucial role in the health of your skin. So, stay properly hydrated by drinking sufficient water and eating fresh fruits and veggies. A plump, youthful, and radiant skin depends on proper water intake. Every skin type needs to be properly cleaned, especially at the end of the day. While there are quite a few cleansers out there, not many actually end up cleaning your face as they should. If you want to make sure that all the debris are removed from the surface of your skin, then opt for a cleanser that has salicylic acid in its composition. Salicylic acid is great when it comes to dissolving the grime that may have accumulated on the surface of your skin throughout the day. It works very well at dissolving excess oil, removing dead skin cells that can become a danger if they get trapped inside the pores, and restores the balance in the skin’s own oil production. All you need is a massage with this kind of cleanser for 30 seconds, and all traces of makeup, oil, dust, or sunscreen will be history. You may be tempted to rinse your face with hot water after cleaning it, believing that hot water will be more effective at removing debris. Well, this is a false assumption and will not help improve the condition of your skin. On the contrary, hot water dehydrates the skin and can even cause redness, especially after using an exfoliator. It is best to rinse your face with cold water after using a cleanser, not just because it will help you shrink the pores, but will also stimulate circulation at the skin’s surface, promoting skin cell renewal. The moisturizer is a must and should be applied twice a day, in the morning after cleaning the face, and at night, on a thoroughly cleaned skin as well. This type of product will maintain the balance of the skin and will make sure that it won’t dry up under the action of external factors. You see, no matter what the season is your skin is always at risk of getting dry. In the winter, cold temperatures and wind will dry out the skin, while in the summer, the high temperatures and sun will do the same. So, do your best not to skip this part. The idea is not to use the most expensive moisturizer out there, but one that does the job well. For this, you need to pay attention to the needs and type of your skin and opt for an adequate product. So, you will have to focus on the ingredients that work in your case, and not on the fancy aspect of the package or price tag. If you apply sunscreen on your skin, you will keep it safe from the damaging action of the sun. This can cause premature aging and can make certain skin problems, like acne or rosacea. So, regardless of season, don’t go out without applying sunscreen first. Ideally, you should use a non-comedogenic product. It doesn’t clog the pores or lead to the appearance of other issues. Also, do use sunscreens that have SPF30 or even higher, especially on the face and hands. No matter how hard we try, a pimple or blackhead can appear now and then. In this case, don’t despair, as there are solutions to your crisis. But, first, avoid at all costs picking on pimple or blackhead or attempt to extract it with your fingers. Don’t pop, squish, scratch, or do anything else to bother the affected area. By doing this, you may end up with a more serious matter. 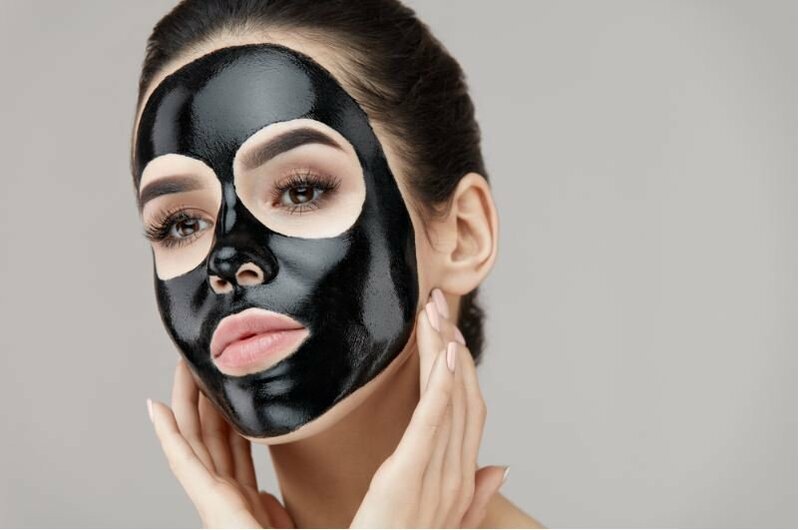 Instead, use a product with a drying action on the pimple, like the good old salicylic acid, and utilize a charcoal peel off face mask for blackheads. With a bit of patience, everything will go away. There are some things you can do what can make a huge difference in keeping your skin clear. For example, use a towel just for your face and replace it every two days. This way, you will keep germs from spreading on your face. You will also have something clean to wipe your face with at all times. Keep the surface of your pillow clean as well. You put your face on the pillow every single night, so it is important for it to be germs free. And do clean your mobile phone with the help of alcohol wipes. Our mobile devices can accumulate a lot of bacteria and germs. It was proven that they can get even dirtier than a toilet seat. So, do clean them with alcohol periodically. Next article Permanent Treatment of Jock Itch is Now Possible!